Noise and distortion are bad for audio, destroying precious detail and smearing resolution. 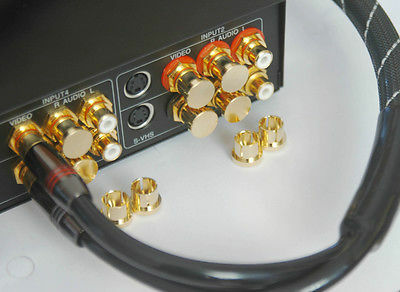 The open RCA inputs are channeling RFI and EMI noise right into the heart of your components. Cover all the unused RCA inputs in your system with the RCA caps and keep this noise from getting into your components. Our RCA Protection caps slide right over unused RCA jacks and will provide both sonic and environmental protection. This Noise-Stopper caps are grounding plugs that help you block out this unwanted noise. Just slip a cap over the open inputs on the back of your Hi Fi gears. You will aware Noise-Stopper caps lower the noise floor and allow your equipment to perform to it’s fullest potential. 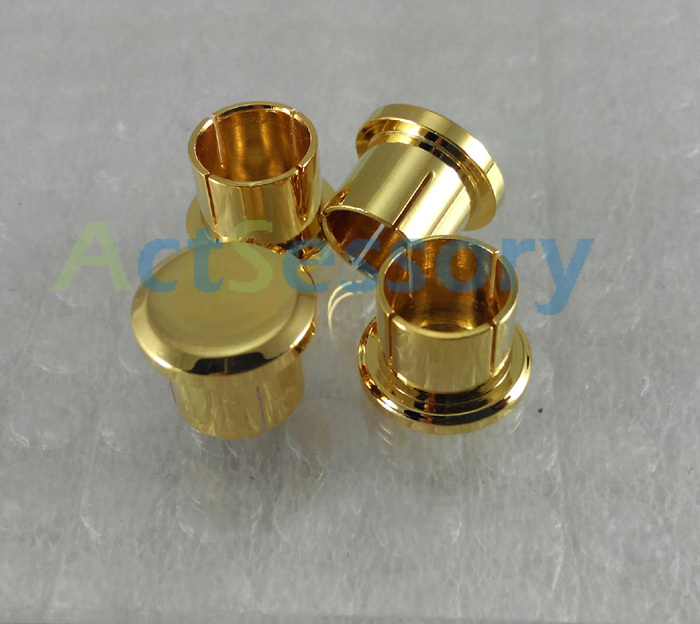 Gold plated copper to ensure ultra shield and protection shield against RFI, EMI, dust and corrosion. Eliminate noise and improve overall performance. These RCA protection caps are non-shorting, the only reason they are there is to keep the RCA jack clean, and they frankly look good. The background may becomes quieter and spatial information and details presents itself more freely with reduced harshness. The audio system may play louder without sounding messy, jumbled up and noisy! One of the best upgrades so little money can buy.